What do you do when everyone in the world thinks you're trying to bang Rita Ora and you gave the greenlight? 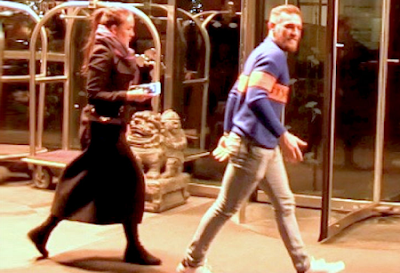 If you're Conor McGregor, you take your REAL girlfriend on a luxury shopping spree!! 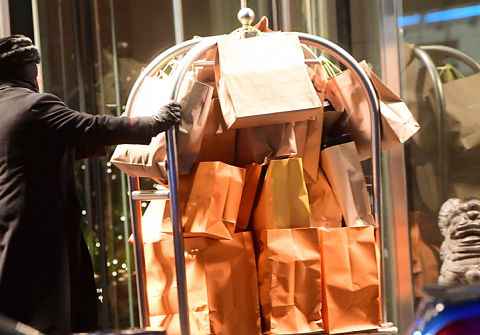 Check out the UFC superstar and Dee Devlin leaving the LV store in NYC with more than 11 BAGS (and that's only the bags we could see!). Of course, Conor reportedly made around $100 mil for the Mayweather fight, so money ain't a thing. Nice to see he's trying extra hard to make Dee happy.